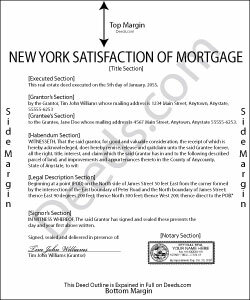 After completing payments on the balance due of a mortgage, the lender completes this satisfaction form. Promptly recording this document in the same county as the original mortgage serves to unencumber (free up) the title to the related real property. Words of conveyance are unnecessary because the property rights were transferred when the borrower and lender signed the mortgage.